The economy is taking center stage as we get closer to the November Presidential elections and since the economic and Wall Street bailout, at the beginning of President Obama’s first term, the economy has still slowed. House Republican leaders are now working with Donald Trump to fix it. One America’s Emily Miller has more from Washington D.C. This entry was posted in Republicans and tagged Economy, House, Leaders, Republican, Trump, Work on June 16, 2016 by William. This entry was posted in Republicans and tagged Clinton, CNBC, Dead, Economy, Even, Survey, Trump on April 5, 2016 by William. This entry was posted in Republicans and tagged Cantor, Cavuto, Economy, Eric, Jobs, Neil, Republican, talks, Whip on November 14, 2014 by William. 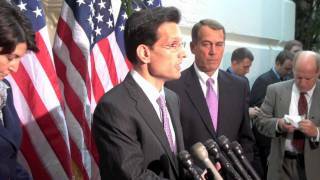 Republican Whip Eric Cantor Speaks About Doc Fix. This entry was posted in Republicans and tagged Cantor, Creation, Discusses, Economy, Eric, Republican, Whip on November 1, 2014 by William. This entry was posted in Republicans and tagged Cantor, CNBC's, Discusses, Economy, Eric, Republican, Squawk, Whip on October 17, 2014 by William. Republican Whip Eric Cantor: What Do Signs Have To Do With Helping The Economy Recover? This entry was posted in Republicans and tagged Cantor, Economy, Eric, Helping, Recover, Republican, Signs, Whip on August 23, 2014 by William. This entry was posted in Republicans and tagged Cantor, Economy, Eric, Financial, Regulation, Republican, Whip on July 13, 2014 by William. 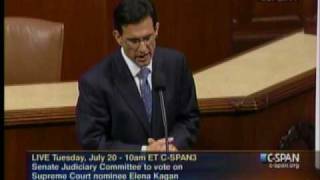 Eric Cantor discusses health care reform with Sean Hannity. This entry was posted in Republicans and tagged Cantor, Economy, Eric, Regulation, Republican, talks, Whip on July 2, 2014 by William. This entry was posted in Healthcare and tagged Bending, Cost, Curve, Economy, Obamacare, Weak, World on December 7, 2013 by William.